Chow - Does filtering cheap vodka through a Brita filter really work? guyism - Does putting vodka through a Brita filter really work? Does filtering cheap Vodka improve its taste? How is it done? It’s quite a simple process really. The picture accompanying this article shows a charcoal filtration cylinder used at the Great Lakes Distillery in Milwaukee, Wisconsin, to make Rehorst Vodka. 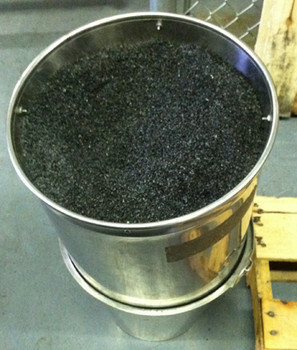 They pack the cylinder with fresh granular charcoal then drip the vodka through the cylinder. The result is a cleaner, smoother tasting vodka with a more pleasant aroma, and not incidentally a drink with fewer traces of heavy alcohols that might contribute to that queasy feeling the next day. Many vodka producers claim a certain number of passes through the charcoal filtering cylinder on their labels. Great Lakes Distillery doesn’t do that; their philosophy is to filter it as many times as necessary to make the vodka just the way the master distiller thinks it should be. When does the charcoal get refreshed? When the master distiller thinks it is time to do so; that varies from distiller to distiller. Not the answer you're looking for? Browse other questions tagged alcohol .